As a result William Hill has cut the odds on the building winning the 2016 accolade from 7/2 to 5/2 and installed it as the new favourite. It began as the bookmaker’s frontrunner for the prize in July, but was replaced as its favourite by Outhouse last month. According to a spokesman for William Hill the reverse followed a rush of ‘last minute gambles’ on the Herzog & de Meuron-designed building. A slight favourite, followed by four buildings on the same odds, for now. 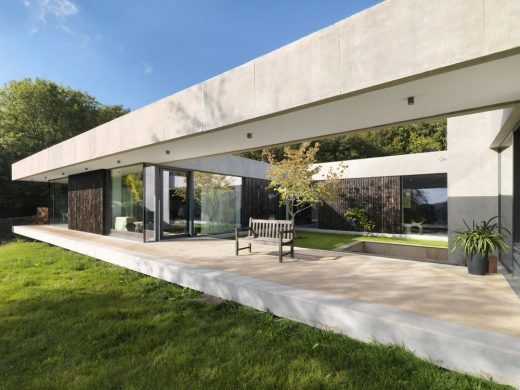 A contemporary concrete house built in a rural beauty spot has won a BBC News vote to find readers’ favourite new British building, reports the BBC. Outhouse is one of six buildings also shortlisted for this year’s Riba Stirling Prize, the winner of which will be announced later today (Thursday). The BBC has had access to each of the buildings in the running for the prestigious architecture prize and invited readers to vote for their favourite. More than 36,000 votes were received and Outhouse, which was the only private house on the shortlist, was the runaway winner. Two projects for Oxford University and one in Scotland. Buildings that missed out on the 2016 Shortlist include The Investcorp Building in Oxford by Zaha Hadid Architects, Drawing Studio Poole by CRAB studio, HOME Manchester by Mecanoo and Murphy House Edinburgh by Richard Murphy Architects. The shortlist for the prestigious 2016 RIBA Stirling Prize for the UK’s best new building has been announced today (Thursday 14 July). The six shortlisted buildings will now go head-to-head for architecture’s highest accolade, to be awarded by the Royal Institute of British Architects (RIBA) on Thursday 6 October 2016. Now in its 21st year, the 2016 RIBA Stirling Prize is sponsored by Almacantar. A partly-subterranean house on a sloping plot in the Forest of Dean (Outhouse); the conversion of an entire street of listed industrial buildings into a free public gallery for artist Damien Hirst’s private collection (Newport Street Gallery); a radical new landmark university building in Oxford (Blavatnik School of Government); a flagship high density housing development on a regenerated site in south London (Trafalgar Place), a new college campus that reinstates the value placed on civic education in post-industrial Glasgow (City of Glasgow College) and the restoration and significant reinvigoration of a Grade 1 listed building that is home to one of the world’s greatest research libraries (Weston Library). 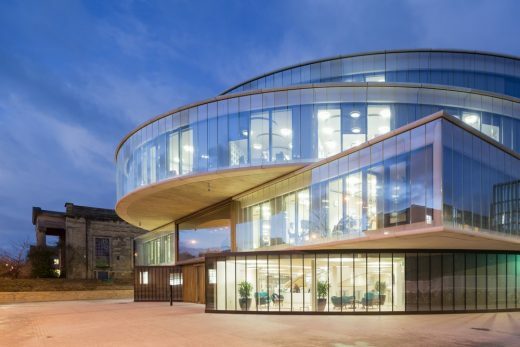 Half the shortlist are education buildings, with one client, the University of Oxford, responsible for an unprecedented two of the six projects. The Blavatnik School of Government, a contemporary new building in a conservation area takes the traditional Oxford quad and tears up the rule book; Herzog & de Meuron have created a succession of wide twisting staircases, offset balconies and communal spaces that encourage greater debate and interaction for aspiring civil servants and politicians. Elsewhere in Oxford, WilkinsonEyre have opened up the Bodleian’s Weston Library to the world. 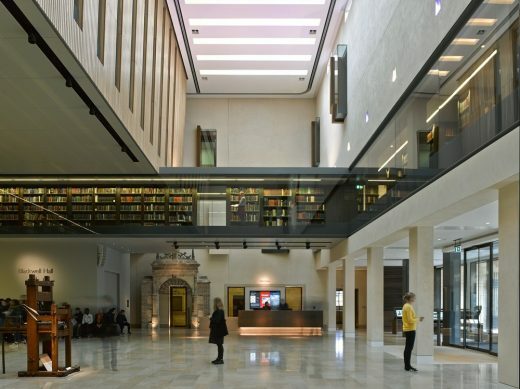 This Giles Gilbert Scott grade II listed gem was once rather insular but has been transformed by a bold new glazed mezzanine to reveal to the public the treasures contained inside. 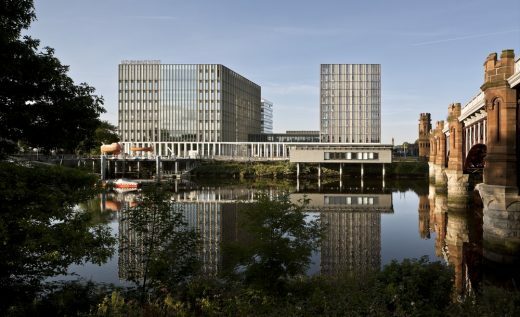 In Glasgow, the city benefits from a bold statement about the importance of civic education with the addition of City of Glasgow College, Riverside Campus; the architects Michael Laird Architects & Reiach and Hall Architects have created a new icon on the Glasgow skyline with a campus anchored by two generous civic spaces, a cloistered garden and grand hall. 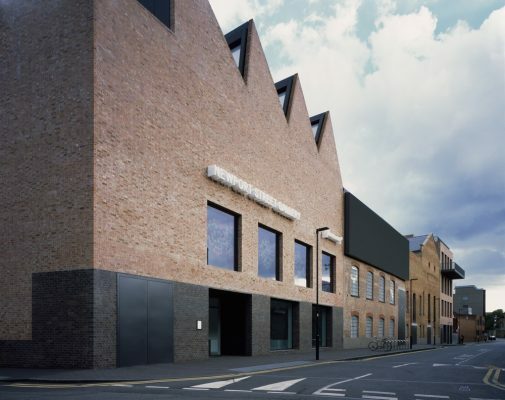 Newport Street Gallery in Vauxhall is the new home of artist Damien Hurst’s private collection. Three Victorian workshops that were once used to create sets for West End productions have been bookended by Caruso St John’s new buildings; the five buildings now joined together seamlessly to create superb gallery spaces and a beautifully curated new street. 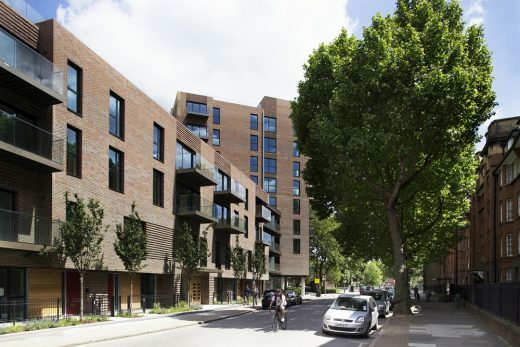 Trafalgar Place, the first results of the wholescale redevelopment of Elephant and Castle’s 1970s Heygate Estate, are on the shortlist. Here dRMM Architects have designed a flagship development of 235 high density, high-quality homes set amongst retained mature trees and extensive landscaping; bringing a sense of tranquillity to a very urban location. Clever use of brickwork gives the new buildings an identity of their own; eight types of brick have been used, each one chosen to reference neighbouring buildings. Outhouse by Loyn & Co is the first private house to feature on the RIBA Stirling Prize shortlist for 15 years (The Lawns by Smerin Architects was shortlisted in 2001). An exemplary concrete house on the Welsh borders, designed for a couple of retired artists, it delights with unexpected spaces, some underground, with a field as the roof. The architect’s use of light, air and vistas make the absolute most of its sloping site and wide views. The shortlist features projects by previous RIBA Stirling Prize winners, Herzog & de Meuron (Laban Dance Centre, 2003) and Wilkinson Eyre (Magna Centre, Rotherham, 2001; Gateshead Millennium Bridge, 2002). Reiach and Hall, Caruso St John and dRMM have all been nominated once before. Michael Laird Architects and Loyn & Co Architects are shortlisted for the first time. “The RIBA Stirling Prize is awarded to the building that has made the biggest contribution to the evolution of architecture in a given year. “Every one of the six buildings shortlisted today illustrates the huge benefit that well-designed buildings can bring to people’s lives. As seen at Trafalgar Place and Newport Street Gallery, they can breathe life and kick-start regeneration in neglected urban pockets to create new, desirable destinations and communities; as with Blavatnik School of Government, Weston Library and City of Glasgow College, they can give cities and institutions a new landmark to delight and draw in visitors, improve education potential, and increase civic pride. Meanwhile Outhouse provides a fantastic model for a private house – one that delights its owners and responds exceptionally sensitively to its treasured rural position. “With the dominance of university and further education buildings on the shortlist, it is clear that quality architecture’s main patrons this year are from the education sector. I commend these enlightened clients and supporters who have bestowed such remarkable education buildings. Sponsors, such as the Blavatnik Family Foundation, the Garfield Weston Foundation, and Damien Hurst are continuing in the proud history of private patronage of architecture, and their continued support contrasts the slump in publicly-funded architecture. 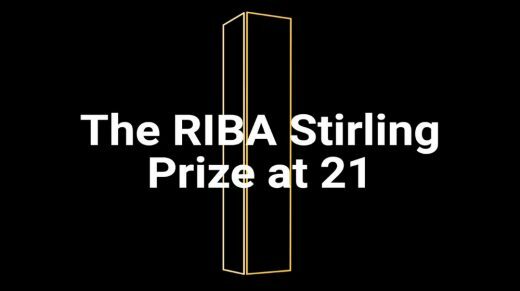 The winner of the RIBA Stirling Prize will be announced on Thursday 6 October 2016. The judges for the 2016 RIBA Stirling Prize are, Patrik Schumacher (Chair), Partner/Director at Zaha Hadid Architects, Paul Monaghan, Director of AHMM, winners of the 2015 RIBA Stirling Prize, Roisin Heneghan, cofounder and director of the Irish-German practice Heneghan Peng, Mike Hussey, founder of property investment and development group Almacantar and Rachel Whiteread CBE, artist. Previous winners of the RIBA Stirling Prize include: Burntwood School, London by Allford Hall Monaghan Morris (AHMM) (2015); Liverpool Everyman Theatre by Haworth Tompkins (2014); Astley Castle by Witherford Watson Mann (2013); Sainsbury Laboratory by Stanton Williams (2012); Evelyn Grace Academy (2011) and MAXXI Museum, Rome (2010) both by Zaha Hadid Architects; Maggie’s Centre at Charing Cross Hospital, London by Rogers Stirk Harbour + Partners (2009); Accordia housing development by Feilden Clegg Bradley Studios/Alison Brooks Architects/Maccreanor Lavington (2008). 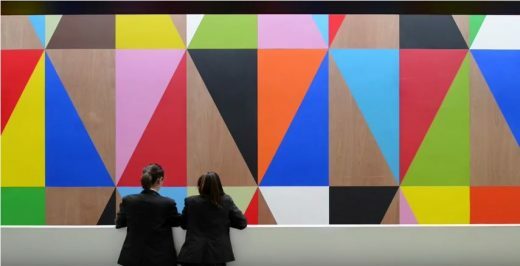 its first-ever documentary, which looks at Britain’s top architecture award The RIBA Stirling Prize at 21 is a 30-minute feature about the history of the prize. 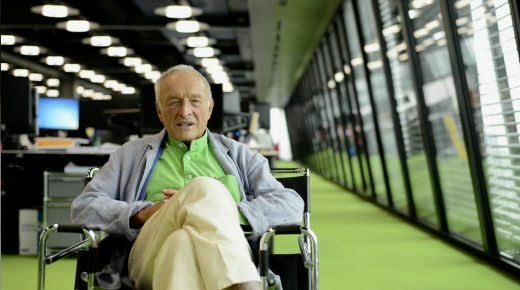 The film revisits previous winning buildings to see how they look now, and features exclusive interviews with Richard Rogers, Simon Allford, and Sheila O’Donnell and John Tuomey among others. 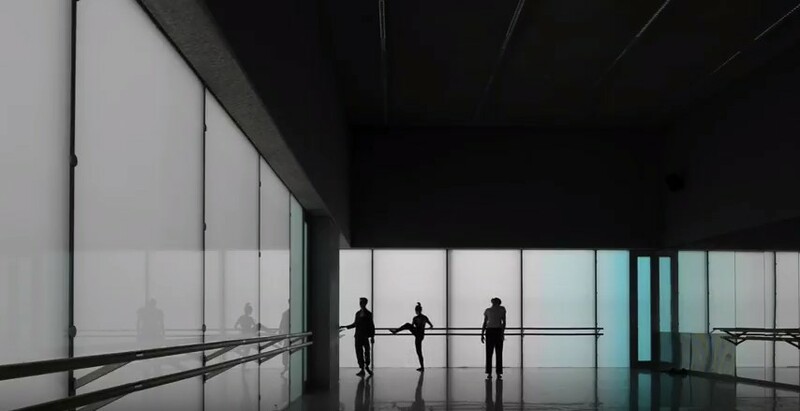 Projects profiled in the film include O’Donnell + Tuomey’s LSE Student Centre, Rogers Stirk Harbour + Partners’ West London Maggie’s Centre, Herzog & de Meuron’s Laban Centre, OMA’s Gartnavel Maggie’s and Zaha Hadid Architects’ Evelyn Grace Academy. 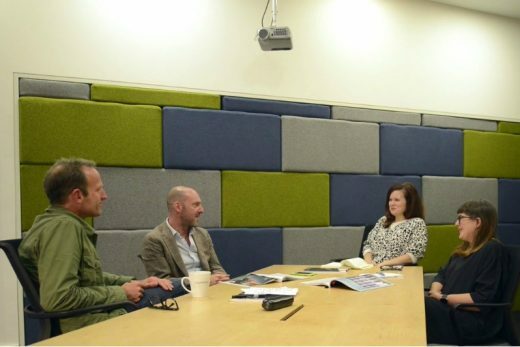 The high-profile industry figures we have interviewed have experience of the Stirling Prize either as winners, nominees or clients. ‘There’s no expectation that you might win it; you live in hope – architects live in hope’, says Allford in the film, whose practice Allford Hall Monaghan Morris won last year’s prize for Burntwood School. 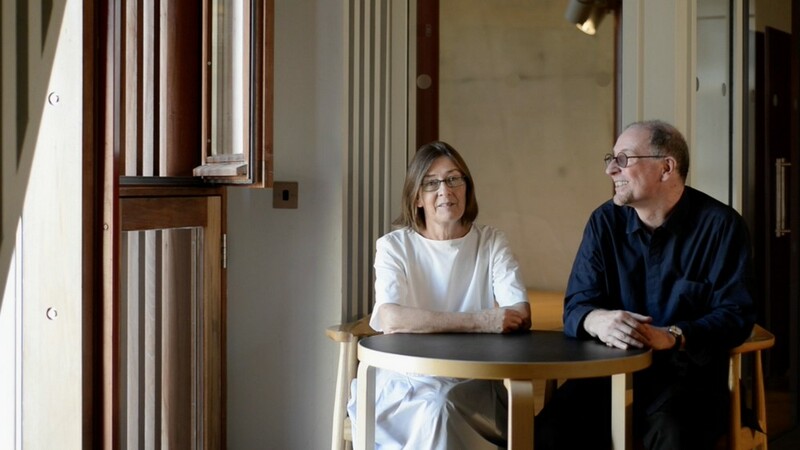 Our interviewees discuss the importance of the prize in relation to other accolades in architecture and what it has meant for their practices in particular. 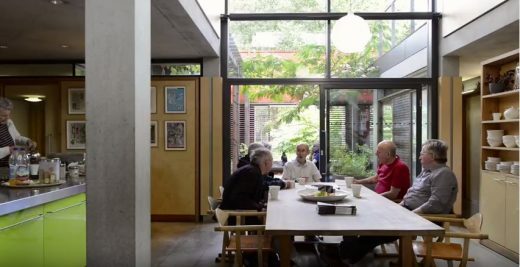 ‘The Stirling Prize has been a great thing for the profession,’ says Ivan Harbour of Rogers Stirk Harbour + Partners, which won in 2009 for its Maggie’s Centre in west London. ‘The Stirling Prize gives you confidence that you are doing something and it is recognised by a knowledgeable public – that’s uplifting, it’s good,’ says Rogers, who appears at the beginning of the film. Laura Lee, chief executive of Maggie’s, also appears in the documentary: ‘Winning the Stirling Prize communicates the role of architecture beyond the field of architects,’ she says. Commissioned by the AJ’s architecture editor Laura Mark, the documentary also includes footage – exclusively captured by Jim Stephenson for the AJ – of all six contenders for this year’s prize. These are available to view as individual videos. The documentary also examines the process of judging itself, with Laura assembling an alternative Stirling Prize judging panel. Her reasons for doing this were set out in our current issue which profiles the Stirling shortlist. 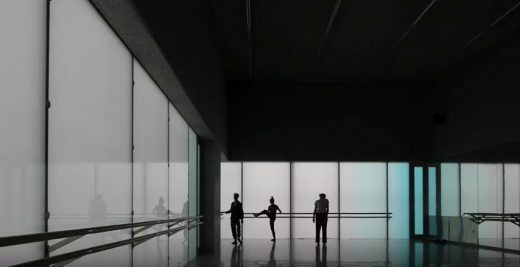 ‘We had lots of discussions of what makes an award-winning project, and visiting the buildings really changed our perception of that,’ she says in the film. The alternative jury – composed of architect and broadcaster Piers Taylor, participation specialist Daisy Froud and developer Martyn Evans – visited every shortlisted project to answer the question: would one group of people choose the same winner as another? The film culminates in the panel revealing its winner, but we’ll have to wait until tomorrow night who will win the real prize. The AJ have also made video building studies of the six projects shortlisted for the Stirling Prize this year. These are also on YouTube.